Build your online presence now! How often do you get asked about your web address? You're having a great conversation with your new client, and you feel you’ve just made a connection. Until the moment when they casually ask for your website address. You feel ashamed and say, "I’m sorry, but I don't have one," then switch to another subject. But you really wished you had one, right? Are you spending a lot of money on advertising, distributing brochures and booklets? Of course, they are eye-appealing and colourful, but it takes a lot of efforts to produce them. Besides, how quickly do they become outdated? You want to keep your customers up-to-date with your offerings, but mail-outs get too expensive? Or you and your team just don't have enough time? Are your customers asking the same questions over and over again? You must be tired of repeating the same product information to your new clients every single time, like a broken record. Of course, they all enjoy what you are saying, but they could have easily read it up before talking with you. Are you using a Hotmail or Gmail account while your competitors have @their-company-name.com email address or @they-company-name.ca? Do you have helpful advice you would love to share, but you can't submit it to a magazine or write a book because it’s too slow and cumbersome? Do you get that surprised look from employee candidates when they ask about your website, and you don’t have one? How many applicants have you lost because you are not on the Web, and they couldn’t apply? Do you have amazing testimonials, but you don’t have the right place to show them off? Do you struggle to find a casual way to let your prospects know how delighted your current customers are? People don't always say why and how they make their decisions. But most of the time, they decide for the ones who can be easily found and have an actual history. People who seem reliable and can be trusted. Without an online presence, the chances are that your clients will certainly go to your competitor — the one who has a website! How about completing your business card by adding that missing piece of digital contact that clients keep asking for? You have a new product or service? You can easily update your offering and let your customers read and talk about it. Simply add it to your online catalogue. You can write and display your new FAQ page. Now, customers will feel confident in your abilities and will look forward to trusting you. Your new, helpful answers and articles will convince them that you are the one who will solve their problems. And, of course, now they can easily find your address and availability. They even got the map directions that you put up to avoid any hiccups in making it to your business location. Besides, the next time you will be looking for a new employee, you can be sure that you will get the best candidates. They will be able to discover your business and with your new, modern online profile, they will feel completely positive about submitting their C.V., hoping to become a part of your wonderful business. Set up your brand-new website today! 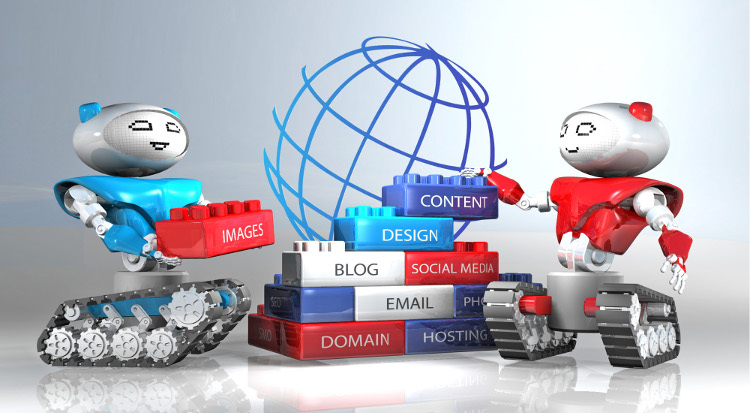 At The Buckmaster Institute, we will help you build your new online presence in no time! You will also get your blog and social media profiles set up! Remember: Your new website is a tremendous marketing tool and a proven way to develop your business and increase your sales. A strong web presence will make you stand out from your competitors, encourage each visitor to become your new customer and will deliver you more business results. Whether you are starting from scratch or you just need to re-design your existing website for capturing more leads, we are here to help you get the best one! Are you a small business looking to create a website? Whether you're going solo or hiring us (or our competitors! ), this email course 6 Mistakes Small Business Websites Makes will safeguard you from mistakes you don't even know you're making.